“Hell must be exactly like this,” wrote Randall Jarrell about New York City. I guess a city can be as divisive as anything. Jarrell clearly hated it. Washington Irving loved it. In fact, he loved it so much he wrote a whole book about it. What’s more, he made me fall in love with it although I think I fell for Irving rather more quickly. “The world in which we dwell is a huge, opaque, reflecting, inanimate mass,” he writes in the opening of A History of New York, “floating in the vast ethereal ocean of infinite space.” There is something distinctly Kierkegaardian about Irving’s voice, which shifts from numinous to witty, from pessimistic to ebullient, seamlessly and in perfect turn with each varying topic. The book, initially conceived as a parody of another called Picture of New York by Dr Samuel Mitchell, was a combined effort on behalf of Washington and his brother Peter. Originally intended ridicule pedantic historians and their inkhornism it gradually evolved into something quite different; a kind of kaleidoscopic and prosaic synthesis of witty and light-hearted contemplation upon philosophy and history. There are many interesting aspects to this book, one of them being the cunning and crafty advertising campaign that preceded its publication. When A History of New York was completed, on 6th December 1809, classified ads were circulated in local New York newspapers announcing the disappearance of a Dutch historian, Diedrich Knickerbocker, “a small, elderly gentle-man, dressed in an old black coat and cocked hat”. Each week, news about his disappearance would appear in the papers stating that the historian absconded owing his landlord money and that a manuscript he had left behind would be sold to pay his bill. The whole of New York soon fell prey to the campaign and sought to get their hands on a copy, making A History of New York an almost immediate hit. Relayed entirely from Knickerbocker’s point of view, A History of New York documents the city’s 50 years under the Dutch Dynasty in the 1600s. A History of New York is a robust literary work of subtle language, loaded with epigrammatic wit and wry mockery. Irving condensed the mass of mock-affected learning, written with his brother, into the first five chapters and wrote the rest with a new slant. Speaking about it once, however, he said that the book would have been greatly improved had he reduced the collaborative work fourfold, into a single chapter and then dispensed of it altogether. It is a book of considerable length, and can be tiresome but is often rescued by its writers humour. “I shall not occupy my time by discussing the huge mass of additional suppositions, conjectures and probabilities respecting the first discovery of this country [US], with which unhappy historians overload themselves, in their endeavours to satisfy the doubts of an incredulous world,” writes Irving in the opening, “I shall take for granted, the vulgar opinion that America was discovered on 12th of October, 1492, by Christovallo Colon, a Genoese, who has been clumsily nick-named Columbus, but for what reason I cannot discern.” The book’s spontaneity, breadth of conception and joyous vigour give it an enduring quality that hasn’t paled with time. This is in part because Irving’s vision is ingenious in many ways, such as when, for example, he uses a metaphor comparing the greed of early American colonists with that of hypothetical inhabitants of the Moon. “Let us suppose a roving crew of these soaring philosophers, in the course of an ærial voyage of discovery among the stars, should chance to alight upon this outlandish planet,” Irving writes, and having done so then “taken possession…and that whereas it is inhabited by none but a race of two legged animals, that carry their heads on their shoulders instead of under their arms; cannot talk the lunatic language; have two eyes instead of one; are destitute of tails, and of a horrible whiteness, instead of pea green – therefore and for a variety of other excellent reasons -they are considered incapable of possessing any property in the planet they infest, and the right and title to it are confirmed to its original discoverers. And furthermore, the colonists who are now about to depart to the aforesaid planet, are authorised and commanded to use every means to convert these infidel savages from the darkness of Christianity, and make them thorough and absolute lunatics.” A brave and imaginative man to convey a serious point with inspired jocularity. 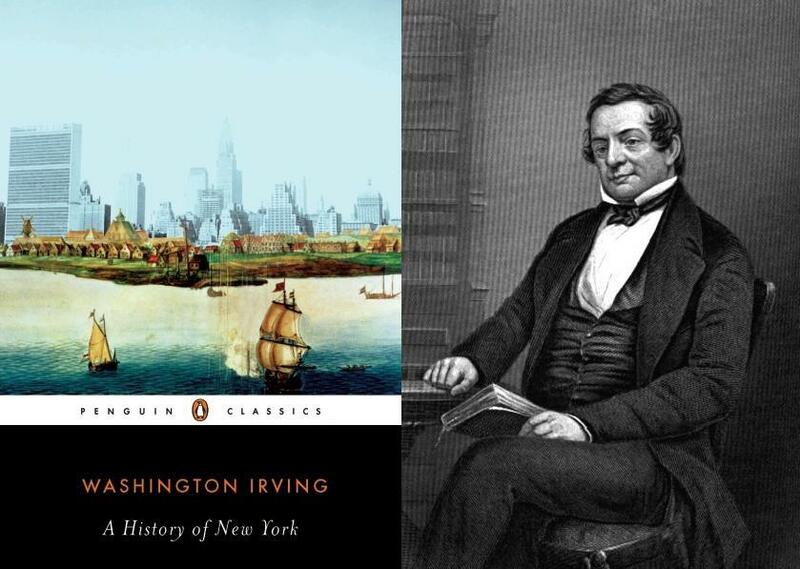 A History of New York can be a little dense at times, veiled in gauzy layers of hypothesis and made obtuse by grandiloquent use of the English language, but it is also a book brimming with brilliant wisdoms and observations. At one point and in a somewhat self-mocking fashion, Irving posits that: “To let my readers into a great literary secret, your experienced writers, who wish to instil peculiar tenets, either in religion, politics or morals, do often resort to this expedient – illustrating their favourite doctrines by pleasing fictions on established facts -and so mingling historic truth, and subtle speculation together, that the unwary million never perceive the medley; but, running with open mouth, after an interesting story, are often made to swallow the most heterodox opinions, ridiculous theories, and abominable heresies. This is particularly the case with the industrious advocates of the modern philosophy, and many an honest un-suspicious reader, who devours their works under an idea of acquiring solid knowledge, must not be surprised if, to use a pious quotation, he finds ‘his belly filled with the east wind. '” Irving’s spoof is even self-ridiculing. His work, however, shaped the reading habits of his day, beyond its leather-bound confines. “Whatever Plato, Aristotle, Grotius, Puffendorf, Sydney, Thomas Jefferson or Tom Paine may say to the contrary, I insist that, as to nations, the old maxim that ‘honesty is the best policy,’ is a sheer and ruinous mistake,” Irving writes toward the end, “It might have answered well enough in the honest times when it was made; but in these degenerate days, if a nation pretends to rely merely upon the justice of its dealings, it will fare something like an honest man among thieves, who unless he has something more than his honesty to depend upon, stands but a poor chance of profiting by his company.” And there is also something of a wonderful storyteller that comes through in A History of New York, which later emerged in all its refulgent splendour in the wonderfully macabre The Legend of Sleepy Hollow. Irving earned a reputation as the father of the American story and came to be admired in Europe as much as in his own homeland. Toasting in his honour during a dinner party, Charles Dickens once reportedly said that he wouldn’t dream of going to bed without taking Irving “under my arm” and that’s perhaps the best compliment. I never realised what a treasure trove an Oxfam bookshelf can be until I snagged myself a brand new copy of Randall Jarrell’s Letters for the exiguous sum of £4. 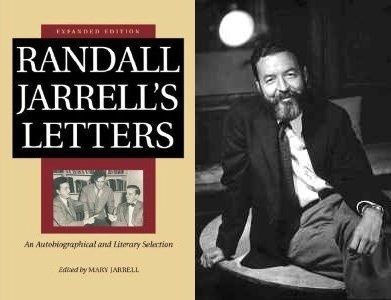 The letters, thoughtfully selected, edited and annotated by Jarrell’s second wife Mary, span three decades and chronicle the life of a man whose “work-and-amusement” revolved around literature. In writing to Allen Tate, Robert Penn Warren, Edmund Wilson, John Crowe Ransom, William Carlos Williams, Robert Lowell and other contemporaries Jarrell speaks habitually of the vertiginous peaks and dells of professional life, most often through a sustained colloquial effulgence that allowed his imagination to roam discursively not only over matters of literary interest but also on issues of social and historical importance. The general consensus about Jarrell is that he was a better, more emphatic and puissant, critic than poet. I am inclined to agree and although his academic brilliance, intellectual dexterity and critical acumen were largely unmatched, his poetry has often been described as “derivative” and “technically lacking”. Admittedly, his verse does not appeal to my aesthetic sensibilities (perhaps with one or two exceptions), but this cannot be said of his collective missives, studded and spiced with humorous musings, clever cogitations and spiffy apophthegms, often vacillating in tone and resulting in a quaint mixture of swagger, reticence, irreverence, coyness and superiority. If there is one aspect that defines Jarrell’s epistolary prose, however, it is his tendency to dash-off quick philippic sentences that strike the reader like a riding-crop. While this device repeatedly buoys the witty, jokey and affectionate argot of his letters, it also comes to the fore in his professional undertakings – most notably his critiques which saw him soar as an important, if formidable, arbitrator of American cultural climate from the 1930s onwards. Perhaps it is no surprise then that Jarrell was feared among a smattering of garreteers, who ducked like frightened mergansers each time he poised his fountain-pen, much like a rifle, in their direction, since his astringently veracious outbursts went some way to making-and-unmaking reputations. I think it is important to point out, however, that this critic did not discriminate in favour of his friends, nor mind their lepidopterous egos, accosting them in print whenever he felt necessary. Ironically, he did not enjoy this vital sideline, once quoting George Bernard Shaw’s remark about the critic’s fate in reference to himself: “His hand is against every man and every man’s hand is against him.” Endowed with infallible taste and a daunting acuity, he often quipped about his subjects but avowed that he would never sacrifice a poet for the sake of a witticism (while the word “never” may not be entirely accurate, the statement is essentially true). “It would be a hard heart,” Jarrell once said “and a dull head that could condemn, except with a sort of sacred awe.” Yet condemn he did, quite frequently if without much pleasure, and thereby earned himself a reputation as a “terror”. 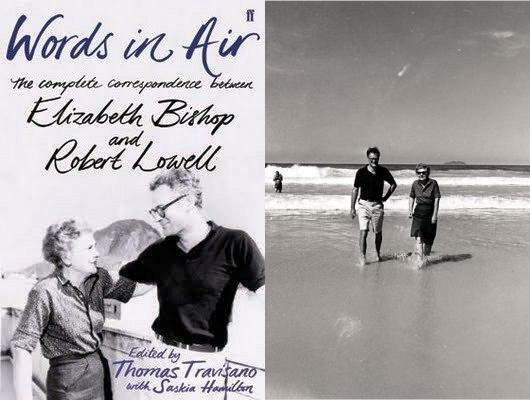 The letters give us the man behind the polemic, behind the poems and the public-face which he himself at times detested. As such they are a priceless offering providing an extraordinary plenitude of biographical, archival and personal information which plays a vital part in revealing the polarity between Jarrell’s private and professional persona. And so it seems that Lowell, who once described Jarrell as “very tender and gracious” but also as someone whose “frankness” was often thought “more unsettling than the drunken exploits of some divine enfant terrible, such as Dylan Thomas,” was right because in the end, irrespective of how you look at it, the truth is always the same: “People ask you for criticism but they only want praise”.